Red wine may not be as good for you as hoped, say scientists who have studied the drink's ingredient that is purported to confer good health. The team tracked the health of nearly 800 villagers from the Chianti region of Italy to see if their local tipple had any discernable impact. 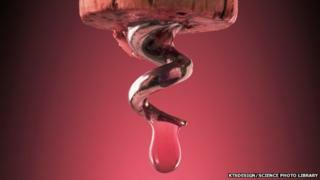 They found no proof that the wine ingredient resveratrol stops heart disease or prolongs life. Experts say more research is needed to get a definitive answer. The British Heart Foundation is carrying out its own resveratrol study. Many studies have sought to explain why there is a low incidence of heart disease in France, despite many of its inhabitants eating a high-fat diet. Some put it down to moderate drinking of red wine. Studies have shown that consumption of red wine, dark chocolate and berries reduces inflammation, leading researchers to speculate that their common ingredient, resveratrol, explains why. But Prof Richard Semba, of the Johns Hopkins University School of Medicine, and colleagues found no evidence for this. They chose two small towns in Tuscany as their test ground, and 783 elderly people who were living there agreed to take part in their investigation. The volunteers gave details about their daily diets as well as urine samples for measurement of their resveratrol intake. During the nine years of the study, 268 of the men and women died, 174 developed heart disease and 34 got cancer. But urinary resveratrol was not linked with death risk, heart disease risk or cancer risk. Nor was it associated with any markers of inflammation in the blood, the researchers report in JAMA Internal Medicine. Alcohol: Is it really good for you?